This morning at work I hunted for a teaspoon to help make my coffee and realised that the teaspoon supply was seriously depleted. I had to pull a dirty one out of the dishwasher, wash it, and use it. We used to have lots of teaspoons. 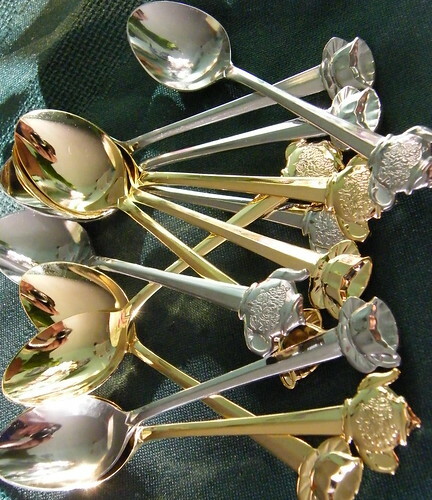 Where have all these teaspoons gone? Believe it or not, four years ago a research study (in Melbourne Australia) was done to find out what happens to the missing teaspoons in a workplace. During their five month study 80% of the 70 teaspoons placed in a workplace went missing. It didn’t matter if they were better quality ones or not, they just went missing. After telling the workplace staff about this study, five teaspoons were recovered. The others were not. Nobody knows where they are. I can only guess they are with the missing socks and odd thongs (flip-flops). Does the same thing happen in your workplace? Read about the full teaspoon study here. When my daughter lived at home she collected teaspoons in her bedroom for all her late night hot chocolates lol. Found a bajillion of them after she moved out! We are forever replacing the teaspoons at work. Not sure where they run off?? ?